While it’s fun attempting to interpret our 1st graders beginning attempts at writing, no one want their kid to spell like that for the next 10 years. At some point we need to teach our kids to spell. But do you really want to use a boring spelling program or would you prefer to teach spelling without a curriculum? The first goal is to find the spelling words you will use to teach spelling without a curriculum. These words can come from almost anywhere. One of the best places to find spelling words is your child’s writing. Most kids misspell quite a few words. Use these words to create a list of spelling words for your child to study. 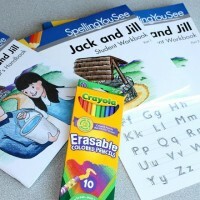 Another good place to find spelling words are phonics programs. 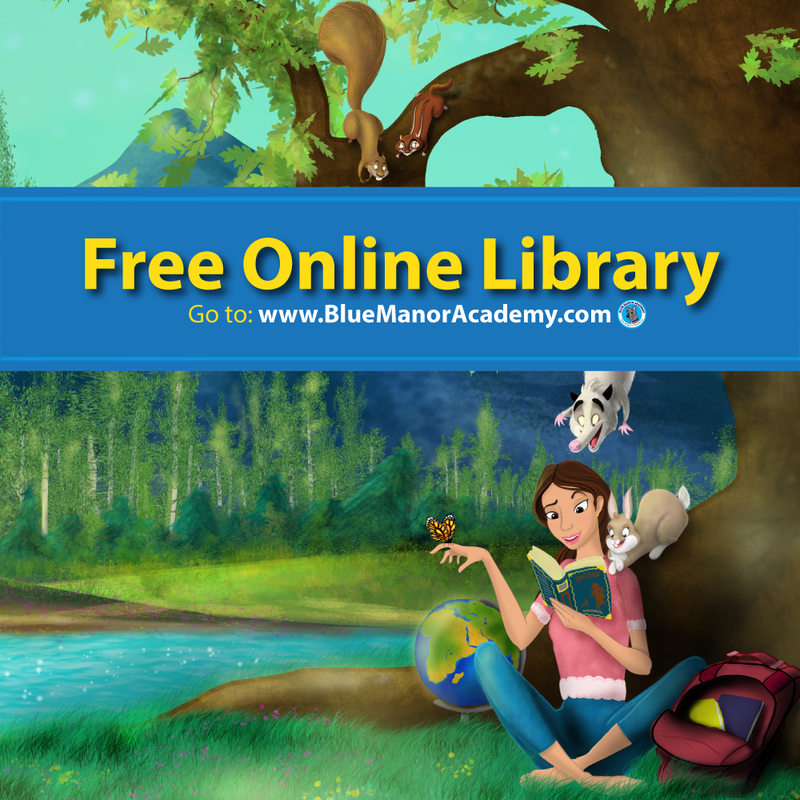 Most phonics programs begin with simple 3-letter words such as ant, cat, and dog. There’s no reason you shouldn’t take your child through phonics again focusing on spelling this time around. If your child is a stronger speller, consider using dictation to find spelling words your child needs to study. In this case, take a sentence or paragraph from a book your kid is reading. Dictate it to your child as they write the sentence on a sheet of paper. You’ll soon see all the spelling and grammar mistakes your kid is making. You’ll have a list of spelling words. Don’t overwhelm your child with spelling words. A first grader only needs 5 words to study each week. A second grader can usually handle 10, while older kids usually get 20 words a week. Remember to be flexible. Kids aren’t the same. Some kids can whip out math sheets by the dozen but break down seeing 5 spelling words. Other kids will adore spelling and can’t get enough of it. Use the recommended spelling words as a guideline, follow your instincts, and adjust to fit the needs of your child. 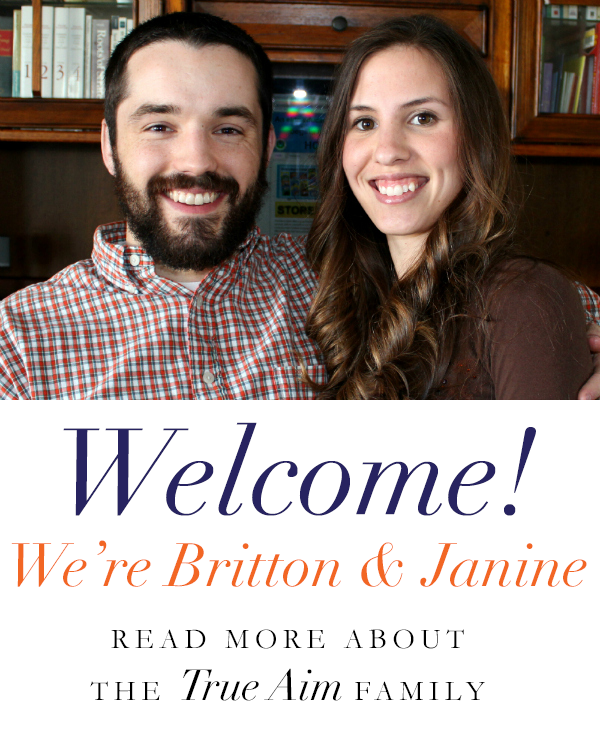 After all, we’re homeschooling to give our kids a excellent personalized education! Now comes the fun part. Let’s study the spelling words! You can use the list of words to create word searches and crossword puzzles. Hand the lists to your child for them to create the word searches and crossword puzzles. Pull out play dough, rice, and magnetic letters while you’re cooking dinner. Encourage your child carve the words in the play dough, trace the words into rice, or spell the words on the fridge with magnetic letters. Call the words to your kid and order them to spell the words as loud as they can. Yelling is encouraged! Have spelling bees where the kids line up and you call out each child’s spelling words. The child who can spell their entire list wins. 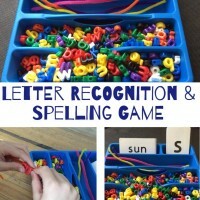 Pull out letter beads, so your child can make necklaces while practicing their spelling. 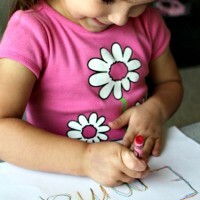 Encourage your kids to make rainbow words with crayons. Practice the spelling words in the house and out of the house. Spell in the dirt. 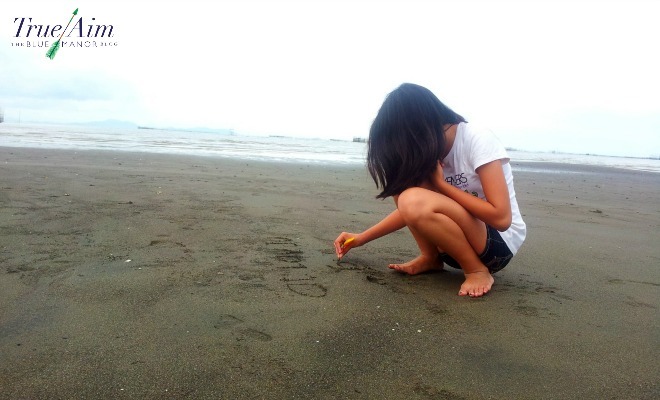 For that matter, why not head to the beach and write in the sand! 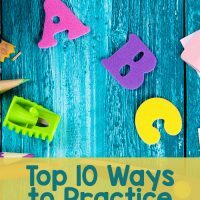 Be imaginative and find creative ways to practice spelling such as these 10 ways to practice spelling words. The advantage to teaching spelling without a curriculum is that you can personalize the spelling words to the ones your kids needs to study, the words they love to write, and the words they can’t spell. And your kids won’t complain about a boring spelling curriculum. 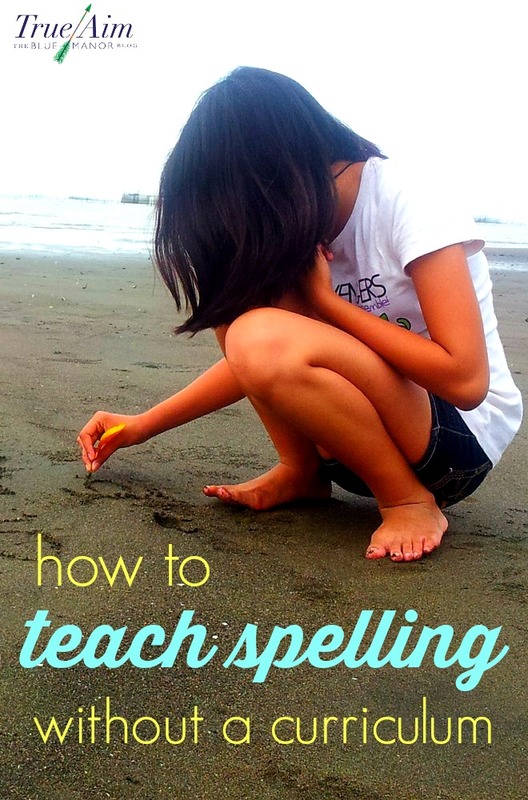 Do you teach spelling without a curriculum?